The NEW Isagenix Energy and Performance President’s Pak now includes IsaLean Pro Shakes and the famous Isagenix Eshots. This is the ideal pack for those wanting to increase their performance in the gym or in their chosen sport. Carefully designed to improve your overall health and energy and performance needs, the Isagenix Energy and Performance President’s Pak is a perfect nutritional cleansing system for active individuals and athletes. Lose that extra few kilograms of stubborn weight, increase lean muscle and get the extra energy your body is craving. How Do I Buy the Isagenix Energy & Performance Pack in New Zealand? There are three basic ways that you can start using the Isagenix Energy & Performance Pak. RECOMMENDED: Sign up and Save ($699.21 with FREE signup) — With the Sign up and Save option, you get the Isagenix Energy & Performance President’s Pak at the cheapest possible prices. During checkout you will need to enter your autoship—your 2nd order you will receive in 30 days time (you will only pay for this 2nd order at the time it is shipped). This can be cancelled or changed at any time after you receive your 1st order. You can choose to purchase this way, receive your first order and then cancel autoship immediately and still get your first order at the cheapest possible price! Preferred Customer ($740.61 + $50 Signup) –The Preferred Customer option allows you to access cheaper than retail prices, but it is slightly more expensive than the autoship option. Full Retail ($939.54) –If you are not comfortable with an autoshipment and do not want cheaper prices, you can use the full retail option. You get the same great products, but at the more expensive price. 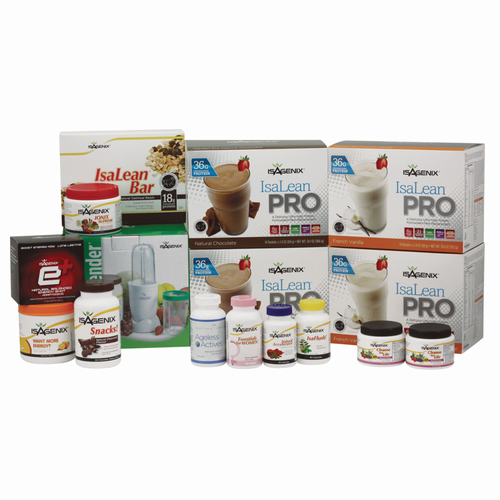 Each Isagenix NZ pack comes with a 30 day money back guarantee. If you are not perfectly happy with your purchase, you can return it within 30 days for any reason. Living the Isagenix Way: Business Opportunities of the Future! If you are passionate about Isagenix, you can earn money from your love of the products. I quit my 9-5 job and became financially stable within two months of selling the product. All you need to do to enroll in the commission program is order more than $210 worth of products and choose ‘Sign up and Save’ (i.e the autoship option) during checkout. Afterwards, I will send you information about getting started and answer any questions you may have. This choice is optional, so it is up to you if you want to just buy Isagenix New Zealand products, earn money or both.